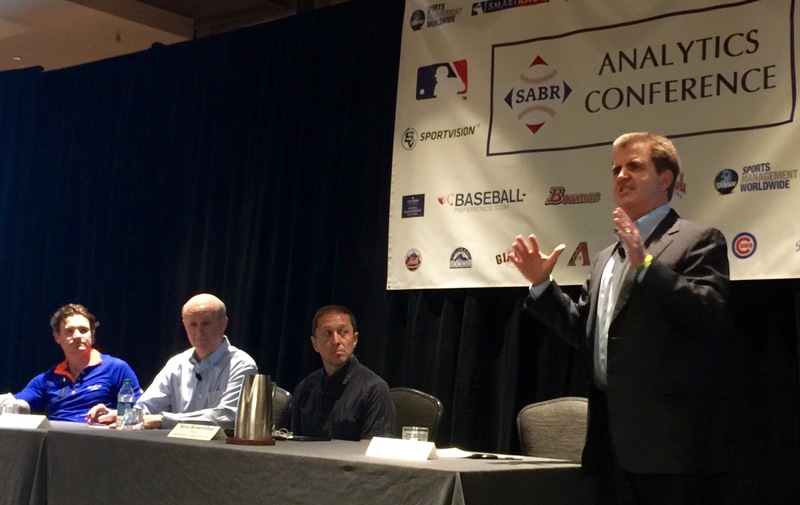 At the 2016 SABR Analytics Conference on March 10, 2016, our MLB Now Panel engaged in a wide-ranging discussion on issues affecting modern baseball. Panelists included Eric Byrnes, former major-league outfielder and MLB Network analyst; Ken Rosenthal, an MLB Network and Fox Sports contributor; and SABR President Vince Gennaro. The panel was moderated by Brian Kenny, who also hosts "MLB Now" on MLB Network. This page was last updated March 19, 2016 at 12:49 pm MST.